Here is 9 free portfolio Drupal themes which you can use for displaying your best work on your site. By using a well-designed theme, you can impress a potential clients or customers, and interest them to find out more about you and your business. 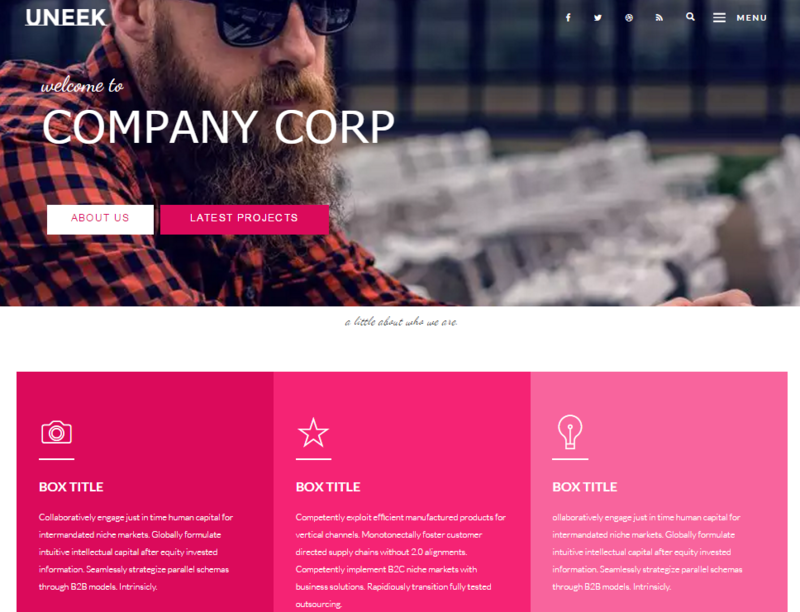 This free drupal theme is fit to any types of portfolio website such as photography, web designer, agency, artist, graphic designer and other related creative industries. Beside WordPress and Joomla, Drupal is also one of the best CMS software to create an online portfolio website, although there are just a few free portfolio theme available, most of them have a great user interface design with useful features to improve your online portfolio site such as image slider, image thumbnail, support full-width image background and much more. Enjoy this free portfolio drupal themes and don’t forget to follow our latest article by subscribe WebDesignity RSS link. Uneek is a stylish and unique portfolio drupal theme, ideal for any creative people or those who love to blog. Uneek has been made from the ground up to provide a simple and clean template for those looking for something fresh and different for their blog or portfolio. TB Palicico is a sub theme of TB Nucleus designed for business, online portfolio or personal blog. Photogenic is a free portfolio Drupal theme. It’s simple theme designed to display photo galleries. Hertz is very light weight but very powerful and professional portfolio Drupal theme with modern look and feel. This theme is perfect for Business websites, Corporate websites, Portfolio, Personal / Blog websites. Photo is a free photography, multimedia, portfolio Drupal theme with a full screen slideshow. Showcase your important work, imagination with full screen photo slider. TB Hadelis is designed for creative content as for agencies, design freelancers a portfolio page. Letter free portfolio drupal theme is a very simple paper-on-wood theme for D7. Letter is a Zen sub-theme; you must install Zen 3.x for Letter to work. Hatch drupal theme is a simple and minimal portfolio theme for photographers, illustrators, designers, or photobloggers. Hatch is fully XHTML and CSS compliant. MD Foto is a free simple and clean photography Drupal theme. It comes with 2 skins: light and dark. Let us know which free portfolio Drupal theme is your favorite in the comments section below.